Committed. Professional. Hard-working. These are just a few of the words our clients use to describe our phenomenal staff of law clerks and paralegals. Our people are dedicated to helping clients get full and fair compensation for their injuries. Brittany Fournier graduated from the Law Clerk Program at St. Lawrence College in Kingston in 2011, and she joined the firm in 2012. Brittany is David A. Beckett’s Law Clerk, assisting him with all aspects of his practice, from initial client contact through to file resolution. She is also a member of the Ontario Trial Lawyers Association, Law Clerk Division. In her spare time, Brittany enjoys travelling, reading books, and indulging in a glass of white, red, or rose wine—she does not discriminate—and hanging out with friends, and family. For six years Brittany was an active volunteer and Team Leader with Victim Services, assisting victims in the Peterborough and Northumberland area. 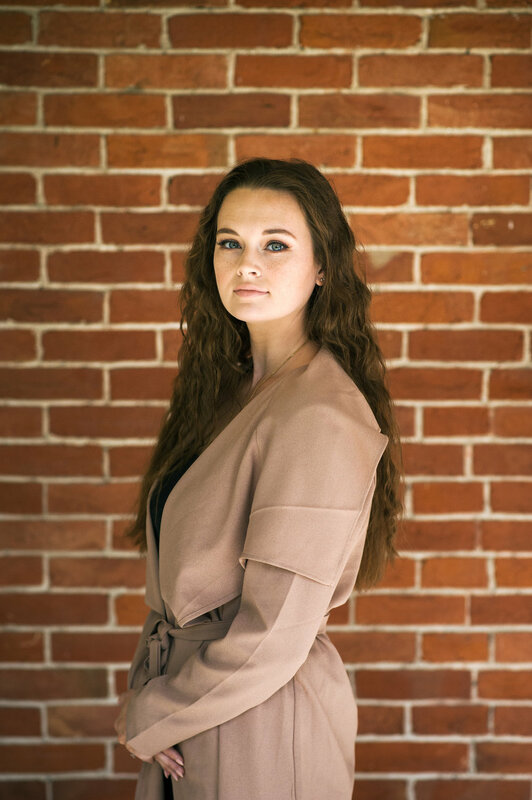 Elizabeth Reid graduated from the Law Clerk Program at Sir Sandford Fleming College in 2013. While at Fleming, she received the Peterborough Law Association award for excellence, awarded to the student with the highest academic standing in the Law Clerk Program. Elizabeth was a Dean’s List student during all four semesters of her educational career at Fleming College. Elizabeth joined the firm in 2013, following a work placement with the Crown Attorney’s Office. Elizabeth is Robert W. Becker’s Law Clerk, assisting him with all aspects of his practice, from initial client contact through to file resolution. She is also a member of the Ontario Trial Lawyers Association, Law Clerk Division. Elizabeth is a proud member of the Peterborough community, having attended both PCVS and Sir Sandford Fleming College. In her spare time, Elizabeth enjoys reading and spending time with friends and family. Before retraining in her current profession, Maggie attended university in Edinburgh, Scotland, and Dublin, Ireland, and completed her B.A. at the University of Guelph, with a focus on psychology and sociology. Maggie is a graduate of both the Law Clerk and Paralegal programs at Sir Sandford Fleming College. She became a member of the President’s Honour Roll, which is awarded to the Top Graduate in the Paralegal program based on highest GPA, and she received the Graham Paralegal Services Award, which is presented to the Paralegal Graduate with highest academic standing in the Provincial Offences course. Maggie also went on to teach students in both the Law Clerk and Paralegal programs after graduation. Maggie is a Paralegal licensed by the Law Society of Upper Canada, and is a member of the Ontario Trial Lawyers Association, Law Clerk Division. She is the Statutory Accident Benefits Clerk and Paralegal for the firm, and has appeared as lead before the Criminal Injuries Compensation Board, and the Social Security Tribunal. She has also participated in mediations and pre-arbitration hearings with the Financial Services Commission of Ontario, as well as attended settlement conferences, and private mediations with the firm partners. She is responsible for handling the Accident Benefits claims at Gowland, Boriss, as well as assisting clients with Long-Term Disability disputes, and Canada Pension Plan Disability applications and appeals. In her down-time, Maggie enjoys: walking her pups in the woods; creating memories with her unstoppable kid; and spending time with family and friends.